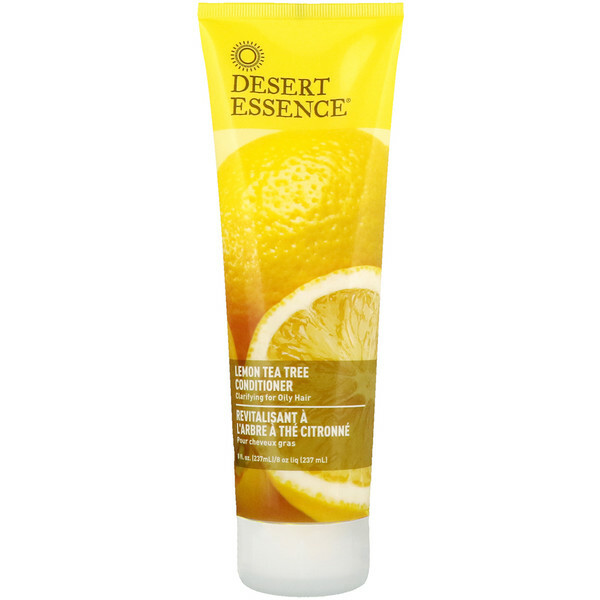 Desert Essence Lemon Tea Tree Conditioner is a lightweight but fast-penetrating conditioner. 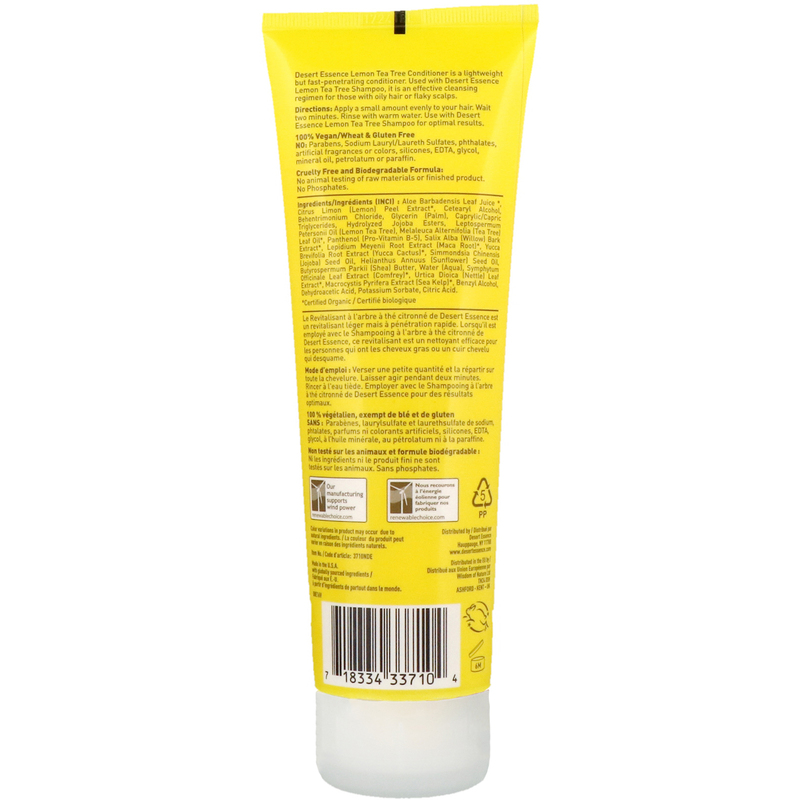 Used with Desert Essence Lemon Tea Tree Shampoo, it is an effective cleansing regimen for those with oily hair or flaky scalps. 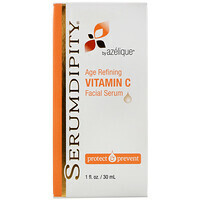 Apply a small amount evenly to your hair. Wait two minutes. Rinse with warm water. Use with Desert Essence Lemon Tea Tree Shampoo for optimal results.